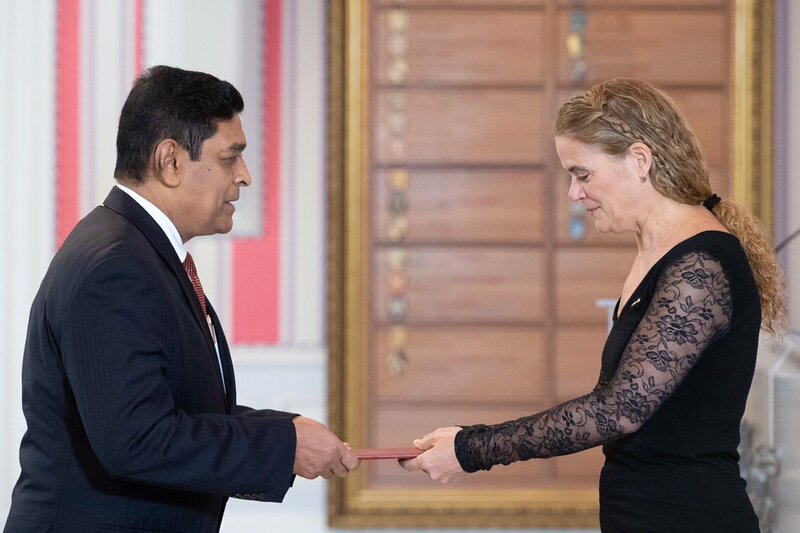 Sri Lanka’s envoy to Canada, Asoka Girihagama presented his Credentials as Sri Lanka’s High Commissioner to Governor General Julie Payette of Canada at a ceremony held at the Rideau Hall in Ottawa on 13th November 2018. Senior officials from the Department of Foreign Affairs and Trade, Canada and Diplomats attended the ceremony which was held to mark the presentation of credential by five envoys representing Mongolia, Egypt, Sri Lanka, The Gambia and Uzbekistan. Addressing the five new envoys to Canada, the Governor General, in her welcome address, spoke briefly on the bilateral ties shared between each of the five countries and Canada. Referring to Sri Lanka, the Governor General noted the long standing relations between Sri Lanka and Canada and outlined issues of mutual interest. At an audience following the presentation of credentials, the new High Commissioner among other matters, briefed the Governor General on recent developments in Sri Lanka. High Commissioner Girihagama stated that he was keen to improve trade and investment relations between Sri Lanka and Canada and encourage Canadian investments in Sri Lanka. 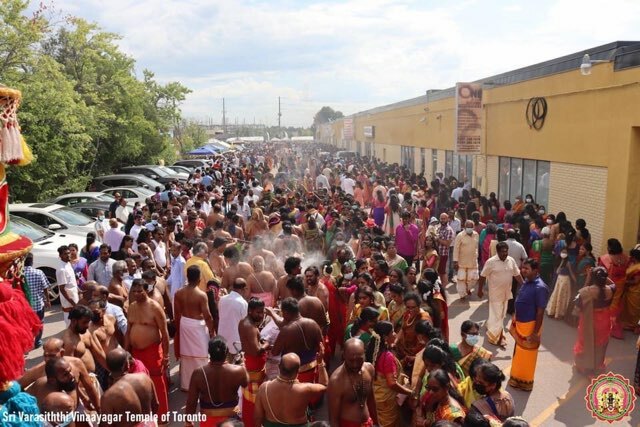 He also stated that as a country with numerous sites and tourist attractions, Sri Lanka had immense potential to offer many diverse options to potential tourists from Canada. High Commissioner Girihagama is a senior Diplomat counting over 26 years in the Sri Lanka Foreign Service. He has served in Embassies/High Commissions of Sri Lanka in Hungary, Austria, New Delhi, Australia, and the United Arab Emirates. 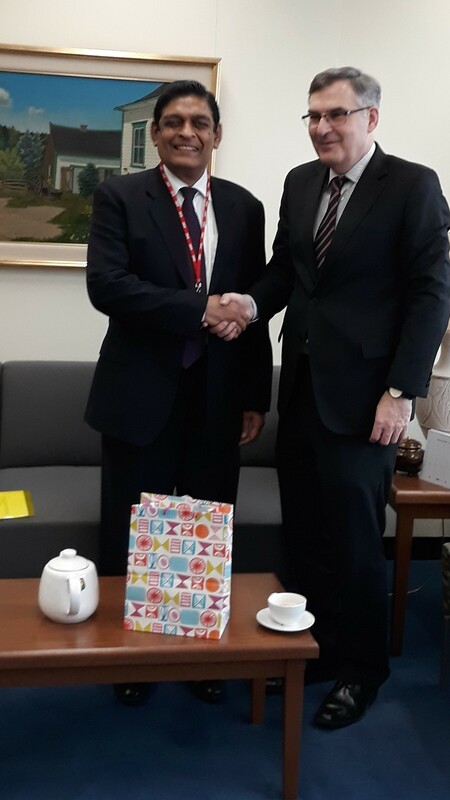 Prior to his appointment as High Commissioner to Canada, he served as Sri Lanka’s Ambassador to the Sultanate of Oman and as Senior Director General, South Asia and SAARC. The newly appointed High Commissioner of Sri Lanka to Canada, Mr. Asoka Girihagama assumed duties at the High Commission on 08th November 2018. He was received upon arrival at the High Commission by the members of the staff. Addressing the staff of the High Commission upon assumption of duties, High Commissioner –designate Mr. Girihagama outlined the importance of widening Sri Lanka’s trade relations with Canada and the promotion of Canadian investment in Sri Lanka. 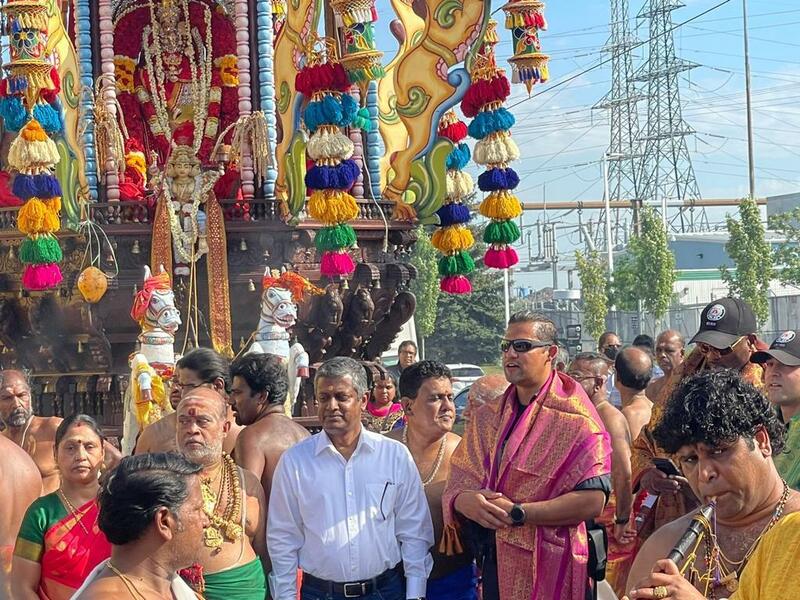 His assumption of duties was marked by a simple ceremony organized by the staff of the High Commission along with milk rice and other sweets being served in keeping with Sri Lankan tradition. High Commissioner- designate Mr. Girihagama joined the Sri Lanka Foreign Service in 1992, and has served in Embassies/High Commissions of Sri Lanka in Hungary, Austria, New Delhi, Australia, and the United Arab Emirates. He also served as the Ambassador of Sri Lanka to the Sultanate of Oman from 2011- 2014. 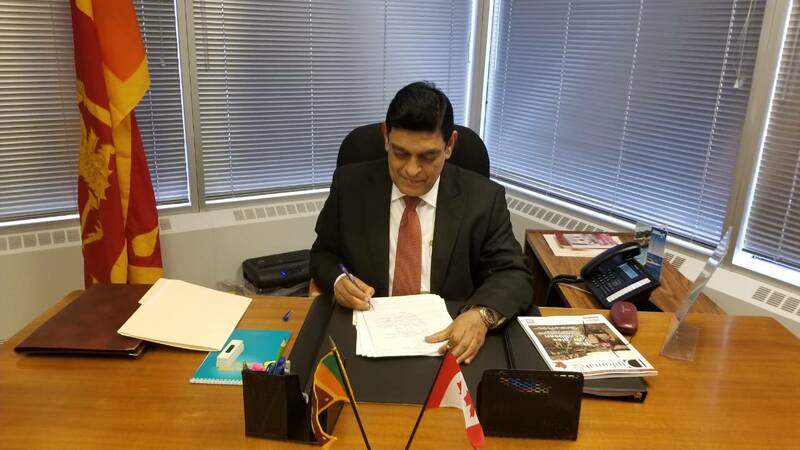 Prior to his appointment as the High Commissioner of Sri Lanka to Canada he served as the Director General of the South Asia and SAARC Division at Ministry of Foreign Affairs of Sri Lanka. He holds a B. Sc. Degree and a Master’s degree in Applied Statistics and he is a past pupil of Anuradhapura Central College, Anuradhapura. High Commissioner- designate Mr. Girihagama is married and has one daughter. In the country statement to the Council of Ministers, Sri Lanka’s head of delegation, Saroja Sirisena, Director General of Economic Affairs (Multilateral) of the Foreign Ministry highlighted the importance Sri Lanka places on regional cooperation and the sustainable use of the oceans. Sri Lanka called for cooperative arrangements to be put in place towards realising tangible results enabling the people of the region to grow together. Sri Lanka also emphasised the need to increase intra regional trade and investment. It was also stated that in economic, strategic and environmental terms the Indian Ocean is poised to shape the planet in the 21st Century and Sri Lanka stands ready to play its role. Foreign Minister Dr. Sarath Amunugama, said that there was no justification for the Travel Advisories issued by a few countries, since there have been no incidents of violence or disruption in the country following the recent events. The Tourism sector has not been subject to any inconvenience. 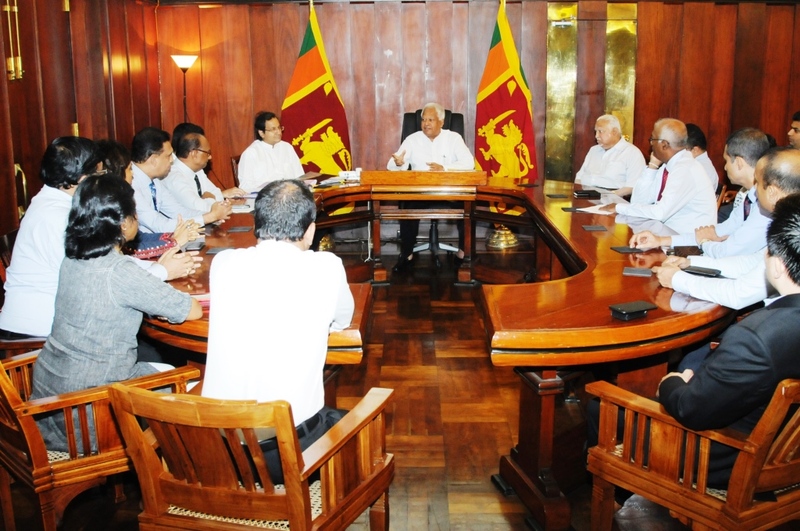 The Minister made these observations when he met with the leading inbound tour operators, Senior Officials of Sri Lanka Tourism Promotion Bureau (SLTPB), representatives of the Sri Lankan Airlines and other leading foreign carriers to discuss the Travel Advisories issued recently. He said that the Government was fully committed to safeguarding and improving of the tourism industry. Industry leaders briefed the Minister that in addition to regular flights, TUI , one of the world’s leading tour operators, is now scheduled to operate 03 Charter Flights to Colombo on a weekly basis while the TUI Cruise Liner is also scheduled to use Sri Lanka as a Port of Call in the high season. The industry leaders also informed that Aeroflot has announced nonstop direct flights from Moscow to Colombo from 28 October 2018 and SWISS will resume its direct flights Zurich – Colombo from 04 November 2018. Meanwhile Lonely Planet, one of the leading international travel guide publishers, has recently named Sri Lanka as the world’s top destination. It was noted that presently there are around 4000 cricket fans from the UK in Sri Lanka to follow the English cricket team’s current tour. This was testimony to the peaceful environment prevailing in the country and tourists are enjoying uninterrupted access to tourist sites and facilities throughout the Island. 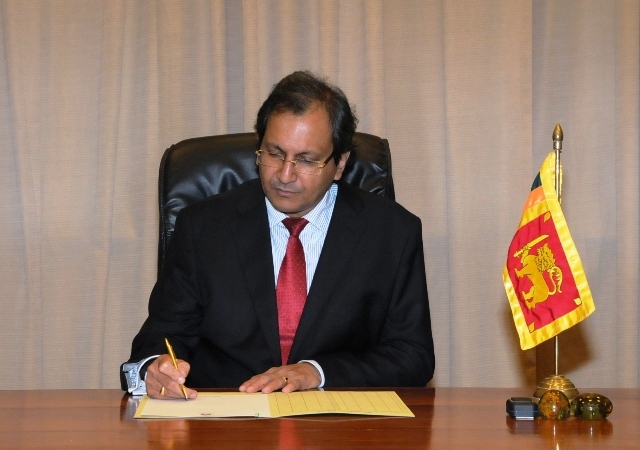 The Minister also informed that since the assumption of his present portfolio he has instructed all Heads of Sri Lanka Missions overseas to personally make representation to the authorities concerned in their countries of accreditation in order to remove the Travel Advisories, to be in keeping with the ground realities in Sri Lanka. They will also maintain regular interaction with the leading Travel Agents/ Outbound Tour Operators in their respective capitals to brief them on the peaceful situation prevailing in the island with a view to promoting arrivals. The Minister said that he planned to make Tourism Promotion a main aspect of the Foreign Ministry’s work programme. Foreign Secretary Ravinatha Aryasinha and Senior Officials of the Ministry were present at the meeting. Foreign Minister Dr. Sarath Amunugama met the Ambassadors and High Commissioners of SAARC countries and their representatives at his office today (31). Heads of Mission and their representatives of Afghanistan, Bangladesh, Nepal, India, Maldives and Pakistan were present on this occasion to discuss matters of mutual interest. The Secretary to the Ministry of Foreign Affairs Ravinatha Aryasinha was also present at this meeting.